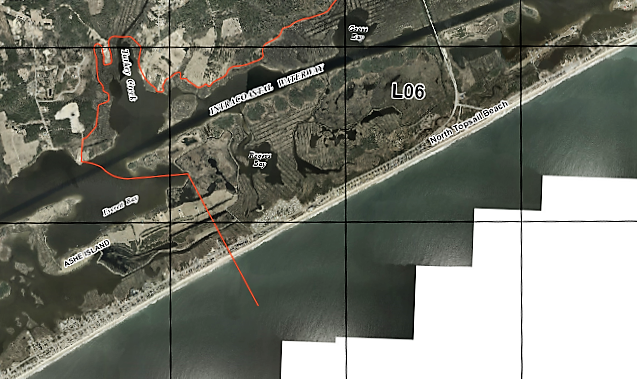 NORTH TOPSAIL BEACH – Land zoned within the town’s conservation district will remain preserved, unbuildable and prohibited from being rezoned. The subject property, part of a tract shown in this vicinity sketch included in the town board’s agenda packet, remains zoned conservation district, or Con-D. 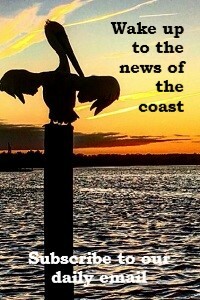 The North Topsail Beach Board of Aldermen recently solidified their commitment to maintain the town’s nearly decade-old rule that prohibits the rezoning of land in the conservation district, or Con-D.
Aldermen unanimously adopted during their March 1 meeting a so-called consistency statement reiterating that rezoning Con-D lands is not consistent with the town’s land use plan and policies. The move seemingly puts a halt to previous discussions about possibly changing the rule pertaining to conservation-designated lands. Last August, the board tabled a decision on adopting proposed changes to the land use plan, one of which included striking the longstanding rule. The town included the regulation in the adoption of its 2009 Coastal Area Management Act, or CAMA, land use plan, which prohibits the rezoning of a little more than 2,300 acres. Commercial and residential development are not supported in conservation areas and only water-dependent uses may be permitted within the district. Aldermen were asked to consider rezoning about 10,200 square feet of land from Con-D to rural agriculture, a move that would have allowed the property owners to build a single-family home on the land. The planning board in a nearly split decision voted in January to deny the request. Representatives for the property owners argued the portion of land requested to be rezoned was uplands, near a road and accessible to water and power infrastructure. They also said the portion of land had been erroneously zoned Con-D by the county, which designated zoning there before the town incorporated in 1990. “These rules are in place for a reason and they’re working,” Alderman Tom Leonard said. Members of the public who attended the March 1 meeting also spoke in favor of keeping the rule intact. Dan Tuman, who was elected mayor last fall, has been a vocal supporter of the Con-D rule. He spoke at the board meeting last August, urging the board to leave the rule prohibiting conservation-zoned lands intact. Part of his argument was that the town needs to show a commitment to protecting conservation areas in light of North Topsail Beach’s long-drawn pursuit to convince the federal government to re-map the Coastal Barrier Resources Act, or CBRA, designation that encompasses some 70 percent of the town. For years the town has been pressing the U.S. Fish and Wildlife Service, or FWS, the regulatory agency that mapped out and established CBRA zones in the early 1980s, to remove populated areas of the town from the zone. The town has garnered the supported of U.S. Rep. Walter B. Jones, R-N.C., who, on Dec. 20, 2017, reintroduced a bill seeking to revise CBRA boundaries within the town. H.R. 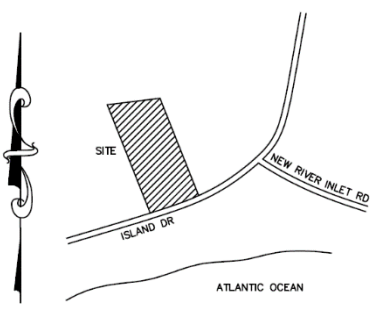 4692 specifically asks that lots within Unit L06 in North Topsail Beach serviced by infrastructure along N.C. 210 and New River Inlet Road “as of the date of enactment of” of CBRA on Oct. 18, 1982, be excluded. The proposed bill was referred in early January to the House subcommittee on water, power and oceans. Jones’ bill is similar to one introduced Aug. 3, 2017, by Sen. Thom Tillis and cosponsored by Sen. Richard Burr, both North Carolina Republicans. S. 1745 was referred to the committee on environment and public works, where it remains. Gary Frazer, FWS assistant director for ecological services, addressed two bills pertaining to CBRA during a Feb. 27 hearing of that committee. Neither of those bills included North Topsail Beach. “The Fish and Wildlife Service has not been invited by the Committee to testify on H.R. 4692; and, therefore the Service does not have a position on the legislation,” according to a FWS spokesperson. During his April 8, 2014, testimony before a House subcommittee, Frazer addressed H.R. 187, a bill Jones introduced that is similar to his current proposed bill. Frazer said that Unit L06, one of 68 units under review as part of a digital mapping pilot project, was one of the most developed units in the Coastal Barrier Resources System, or CBRS. FWS’s revised map would remove nearly 80 structures and about 110 acres from Unit L06. The revised maps add about 1,500 acres, including 86 acres of uplands and a little more than 1,400 acres of associated aquatic habitat. 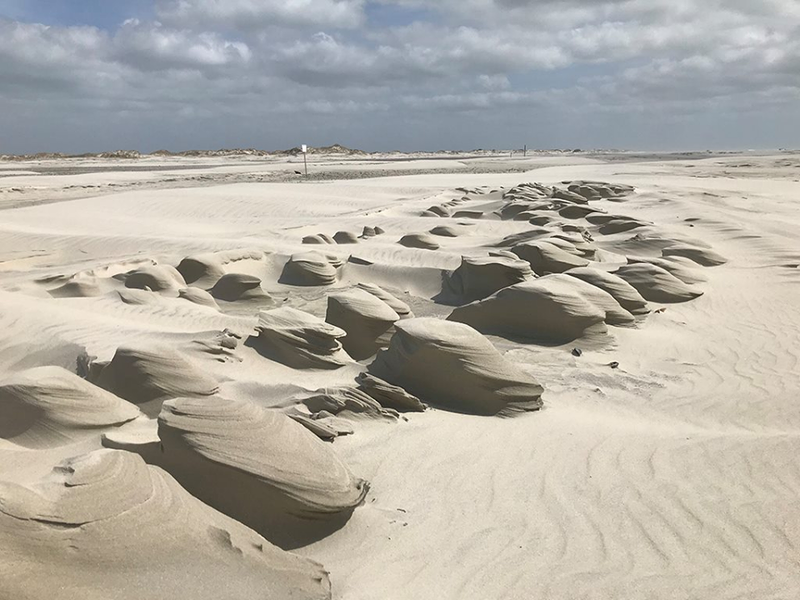 North Topsail Beach officials have long maintained that thousands of acres were erroneously placed with the CBRA unit because Onslow County had begun providing infrastructure – roads, water, sewer and power – to the north end of Topsail Island before CBRA was enacted. Frazer testified in 2014 that the FWS had assessed the information provided by the county and the service’s own background records. “Our review found that though there were some structures on the ground and a main trunk line of infrastructure that ran along the length of the unit in 1982, the area still met the CBRA’s criteria for an undeveloped coastal barrier when it was designated within the CBRS in 1982,” he said. About 35 structures were on nearly 800 acres of uplands – about one structure per 23 acres of land above mean high tide, “well below the density threshold to be considered developed,” Frazer said. “Therefore, the Service does not recommend removing Unit L06 from the CBRS or remapping the unit to remove the majority of the land currently in the unit from the CBRS,” he said.